For many, winter break is just another longed for mini-vacation, and although it is great to have some time off, it can also lead to some slacking off. However, if your child spends winter break wisely they can achieve a lot and still have a good time. The following tips can help your child keep their minds sharp all while enjoying their December school break. Read. 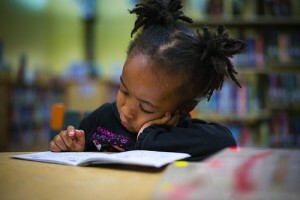 In order to become a better reader, your child needs to read, read, then read some more. Reading is not only crucial to your child's education, it is the core foundation of learning. The more they do it, the better off they will be in all areas. So, this winter break read as a family, go to the library, or take your child to the bookstore and let them pick out a book that calls out to them. Catch up on sleep. Older students may have been staying up late doing homework and projects during the past months. Sleep is one of the best ways to ensure your brain functions at its best. Make sure that you don't stay up too late and try to get your child to catch up on some sleep during the break. Don't forget about homework. Not all schools and teachers give out holiday homework, but many do. Make sure that your child gets their homework done and out of the way as soon as possible so that they aren't cramming all their work into the last day of their break. This month is also the perfect time to help your child catch up on any academic areas. Whether they have a hard time staying productive in their school work or they struggle to understand math, at The Tutoring Center, Oro Valley AZ they have the perfect Academic Program to help them achieve higher learning goals. Contact them now by calling (520)-219-4112 today, and learn how you can help improve your child's educational success.